Berkley were and probably still are the world leaders in end gear technology. 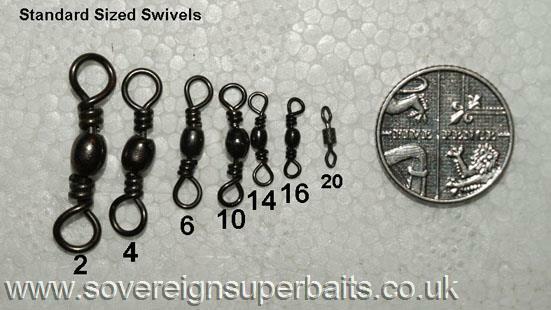 They are certainly my first choice for swivels & clips, in 55 years of fishing they have never let me down. 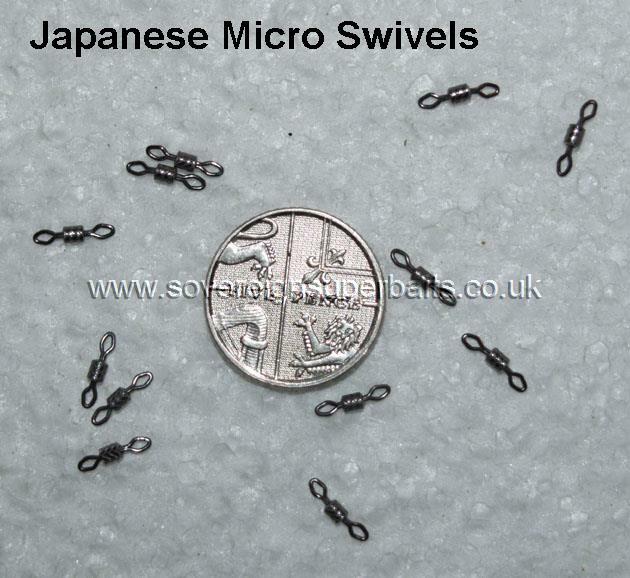 Here we have a range large & small swivels for all applications. 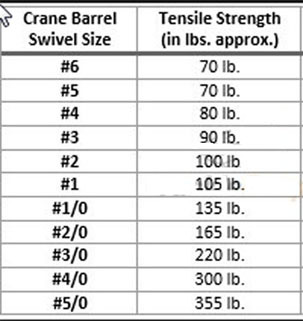 Below is a breaking strain chart to help you make your choice, all are packed in tens. for UL traces. 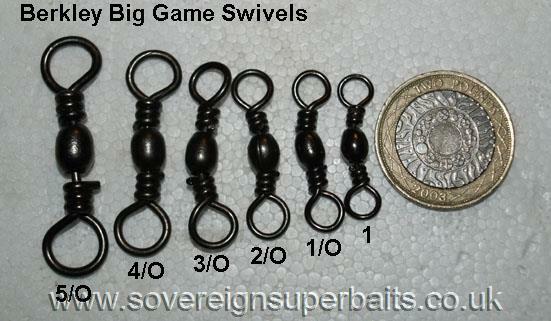 These are Japanese size 12 (equals our size 20) Diamond eye swivels, they are rated 9kg BS & come 12 in a pack. They are a perfect match for our 12lb novo silk wire & number 1 Italian snaps to make Ultra Lite traces to prevent "bite offs" from pike while chub fishing. : Below we have an illustration of the three sizes of Italian snaps and Size 20 Berkeley barrel swivels along with an ultralite trace made from 49-strand Nova silk wire and the aforementioned snaps and swivels, with a one pence piece for size reference. The Italian snaps are incredibly strong for their wire diameter and when snagged I have actually had them pulled tight and jam round the towing eye rather than give way. These snaps are perfectly suited to ultralites and give the smallest of lures great articulation without affecting their performance, a must for all ultralite anglers. 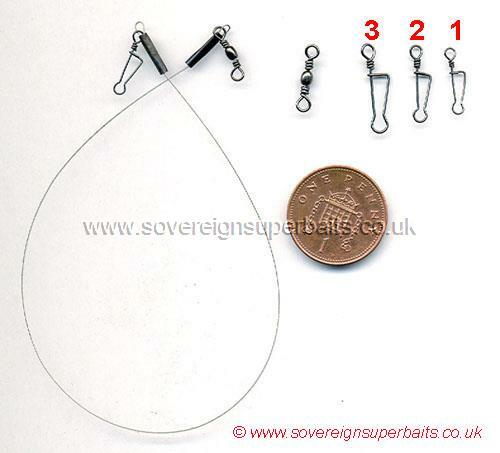 We have also found these Italian snaps to be excellent for pike fly fishing. Once again the articulation is second to none, combined with the lightness and strength these clips lend themselves perfectly to any form of fishing where weight, size and strength is an issue.